In 1926 the 20-35 had a new set of serial numbers issued to it and was re-rated to a 27- 44 to better reflect its actual power output. Engine bore and stroke was unchanged at 5 ½ x 6 3/4 creating 641 cubic inches from the sixteen valve, twin cam, four cylinder running at 900 rpm. There were low, medium and high compression heads available to accommodate varying altitudes and fuel grades. A new Wheeler Schebler carburetor replaced the dated Holley fuel mixer along with improvements to the manifolds. 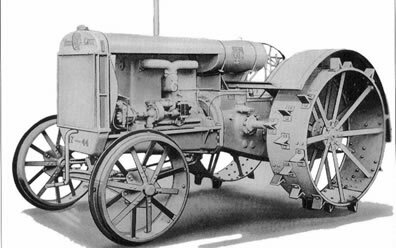 Power levels responded to these changes and Nebraska Test number 122 showed 35 drawbar and 49 belt horsepower from tractor number 250025 in May of 1926. Chassis construction was unchanged from 20-35 specifications. With the heavyweight models now out of production, the 27- 44 was popular for road building duties and many of them were equipped with the “Road King” 28" wide rear wheels. The standard 20" rear was still used, however, a small number of these machines were equipped with a 24" wide rear wheel. Angle, spade, pyramid, and a less intrusive municipal cleat were available for traction along with an industrial style wheel set. With fifty horsepower at the belt the 27- 44 could handle large threshers, big rock crushers and heavy sawmill demands. These engines must have produced very high torque figures. The low numerical gearing coupled with nearly 10,000 pounds of machine weight made them well known for their ample pulling ability. 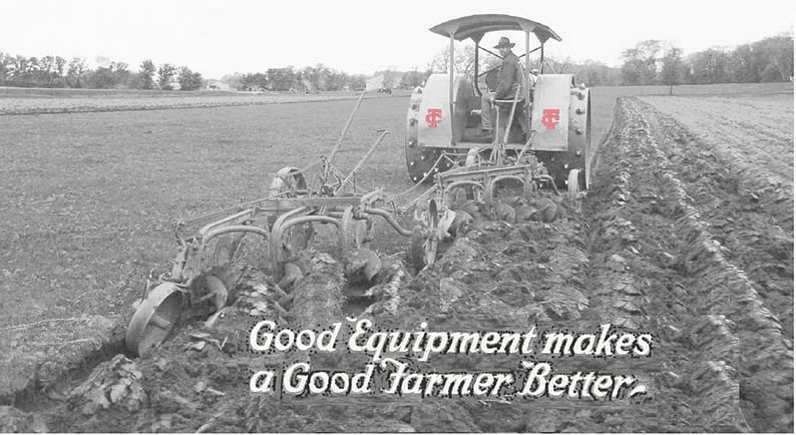 Rated to pull six sixteens, there has always been persistent banter with claims of higher plowing capacity from the proud farmers that could afford one of these tractors. 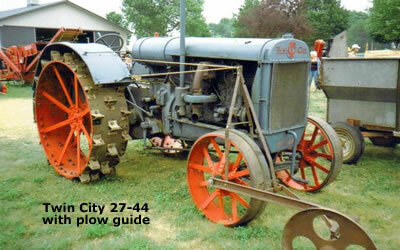 In 1926 Minneapolis Steel & Machinery only offered the 17-28 and the 27- 44. The Nation’s economic stability was on the rise and a new mid-sized 21-32 was almost ready for production. Like its smaller sibling the 17-28, production of the 27- 44 had ended by 1930. Forty three leftover units were sold from 1931-1935.